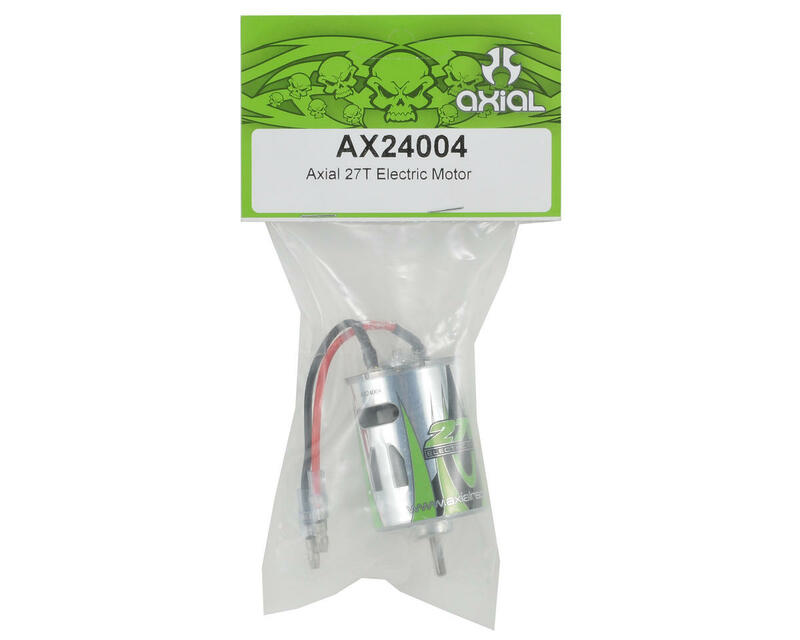 This is the Axial 27 Turn Electric Brushed Motor. Easy Operation: No Tuning, No Fuel, No Loud Exhaust Noise. Just Plug'n'go! 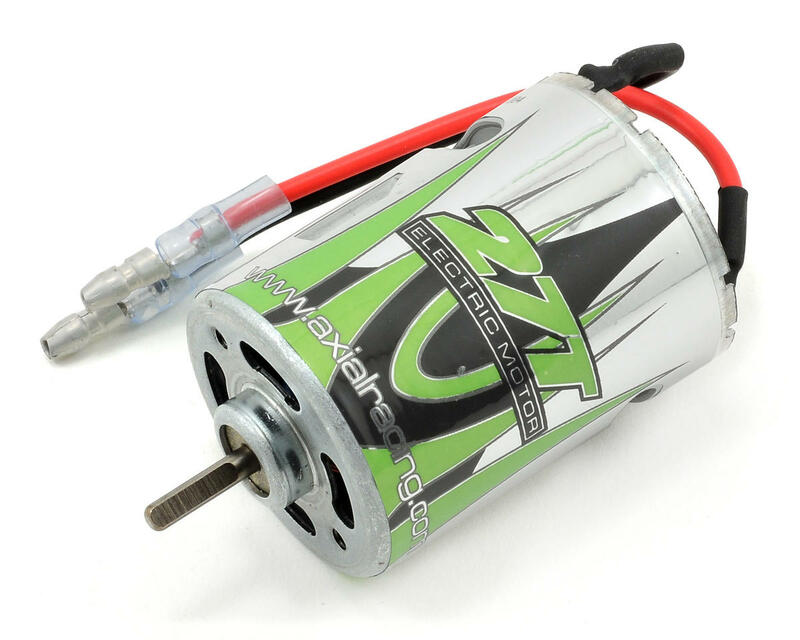 Excellent product, great for a dual motor system if you want a lot of torque. I agree. I am running a duel motor in my SCX10 with the stock esc and have hade no problems at all. the truck will climb and crawl effortlessly over what ever I point it at.